Miriam Pawel in The Union of Their Dreams: Power, Hope, and Struggle in Cesar Chavez’s Farm Worker Movement(2009) uses individualist, personality driven reporting to assert that Chavez himself organized “Witch hunts” to expel union staff who disagreed with his leadership. See Steve Early’s essay on Talking Union. 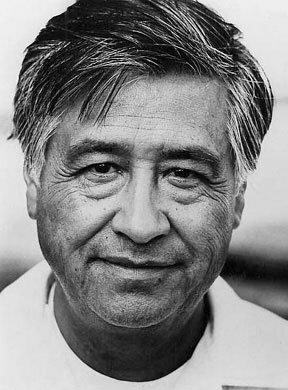 Frank Bardacke’s Trampling Out the Vintage: Cesar Chavez and the Two Souls of the United Farm Workers. (2011) is the view of a well- informed observer who worked in the lettuce fields near Salinas. So is Lettuce Wars: Ten Years of Work and Struggle in the Fields of California(2012)by Bruce Neuberger. These books, along with Pawell’s have been reviewed in prior posts on DSA’s Talking Union. Marshall Ganz, who was a leader in the union and a participant in the internal struggles, tells a more complex and more complete story in his book, Why David Sometimes Wins(2009). We thank longtime member Duane Campbell for today’s salute, which he began writing and publishing in 2013. Our version also appears on his blog for DSA’s Anti-Racism Working Group.